Letters to the Editor: Did Vesuvius vaporize its victims? Residue on bones from A.D. 79 suggests the eruption boiled people alive. 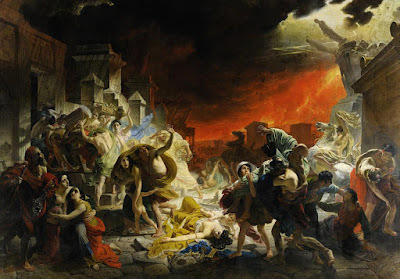 But some experts aren't convinced the deaths were due to heat alone.The infamous A.D. 79 eruption of Mount Vesuvius obliterated the surrounding landscape as well as residents of the Roman metropolises that stood in the volcano’s shadow. After heavy ash caused fatal building collapses in Pompeii, violent pyroclastic currents rocketed downslope and smothered the city, the nearby port town of Herculaneum, and several other sites. Robin George Andrews for National Geographic.